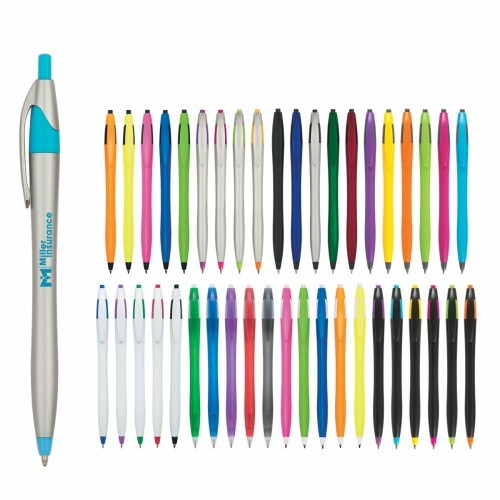 Promotional pens are an affordable and effective way to advertise your brand, and the Dart custom pen comes in 42 color combinations, practically guaranteeing you will find a combination that enhances or complements your logo! 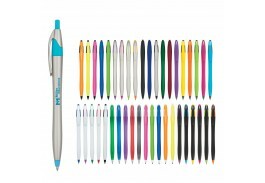 Options include personalized pens with a Black, White, Silver, Metallic, Translucent or Solid Colored barrel with a variety of trims. 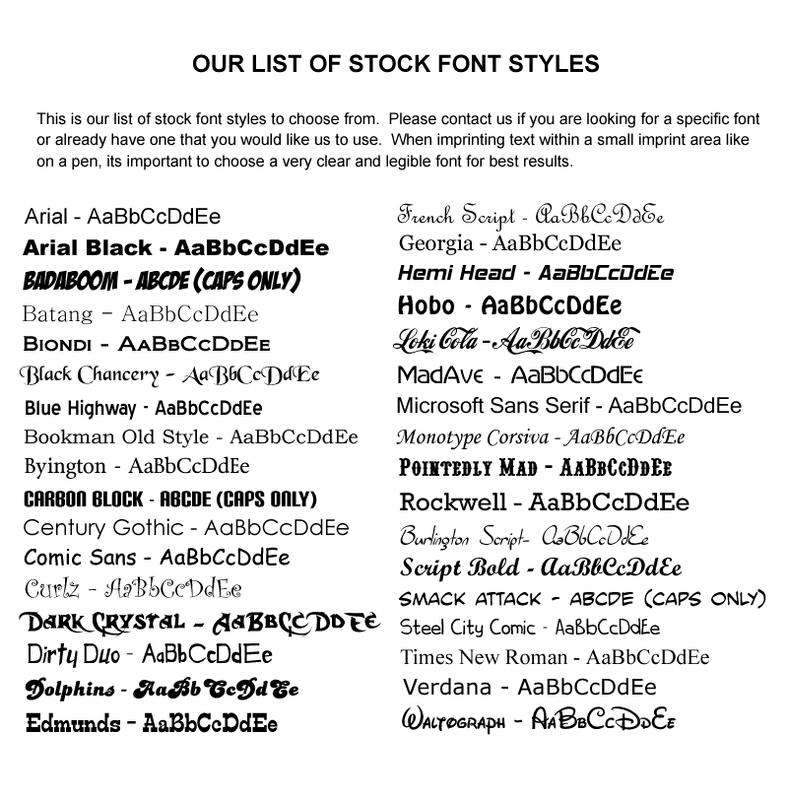 Choose from Black, White or Silver Barrels with colored trim; Translucent Colored barrels with clear frosted trim; Metallic Colored barrels with black trim; or an assortment of Solid colored barrels with black, white and gray trim, depending upon the color. 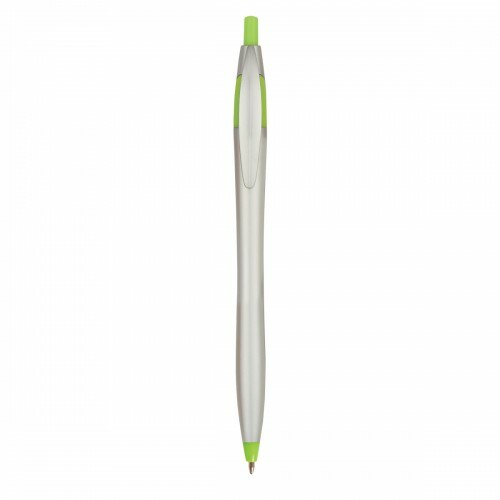 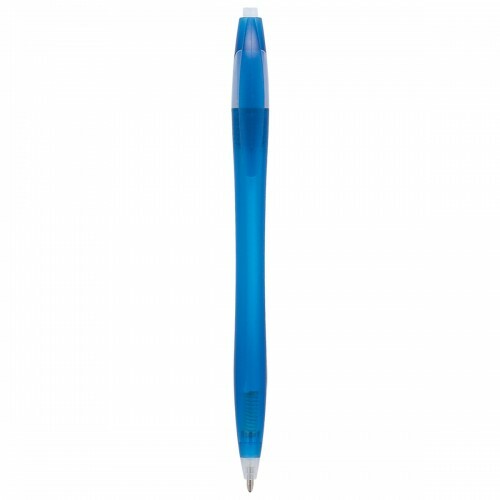 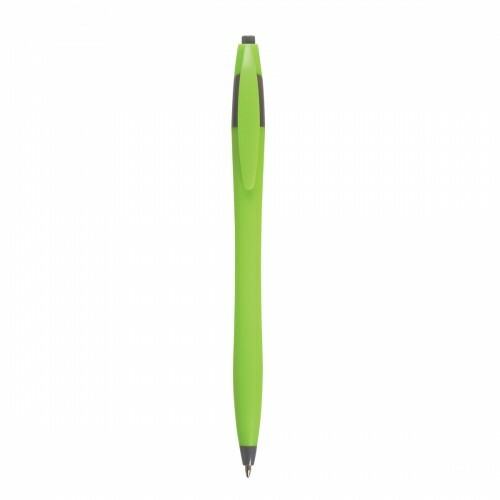 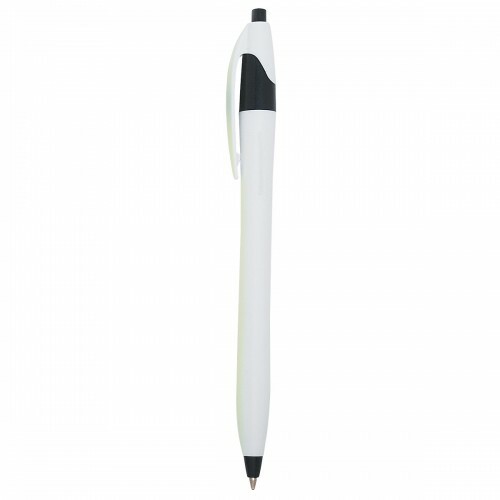 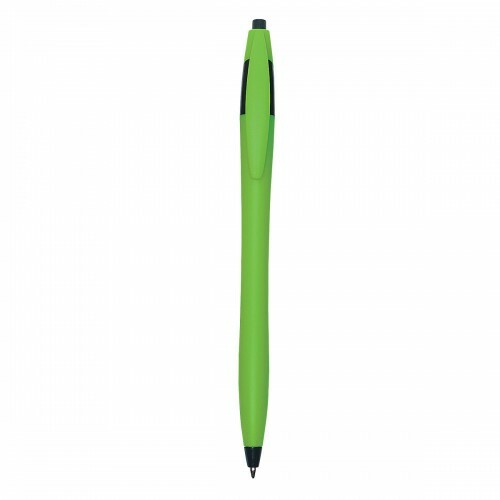 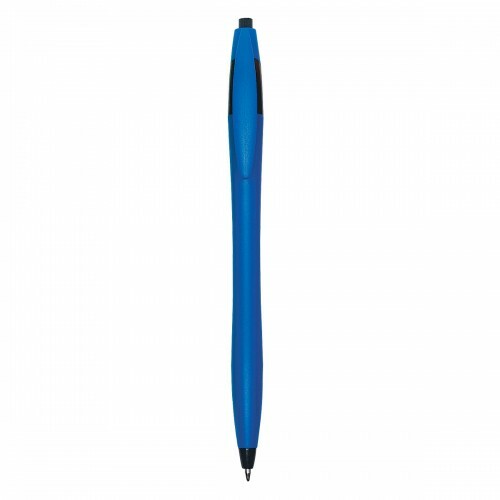 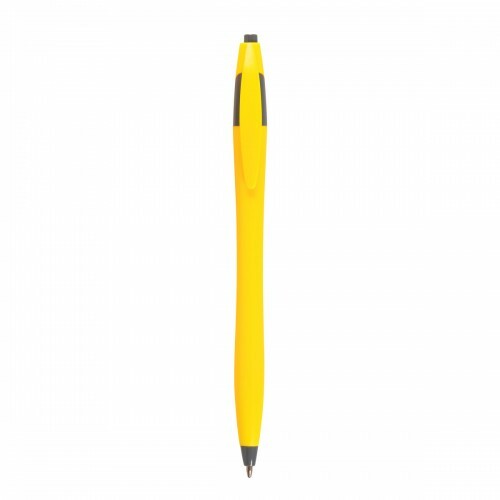 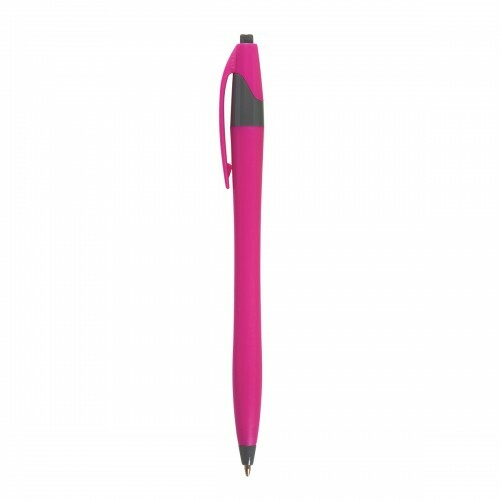 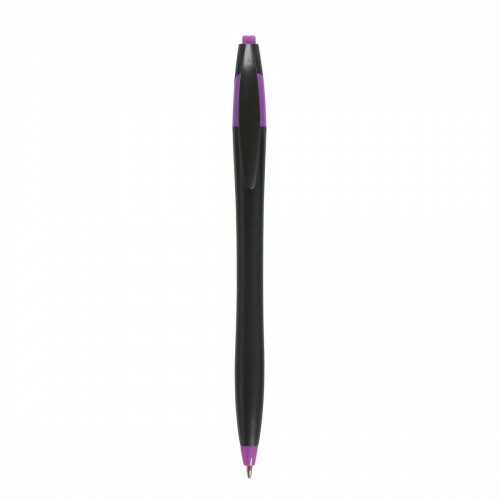 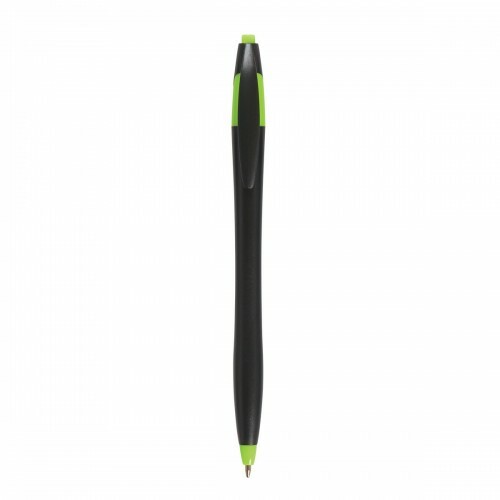 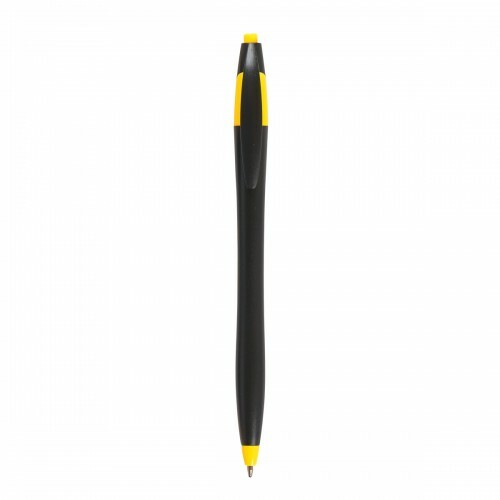 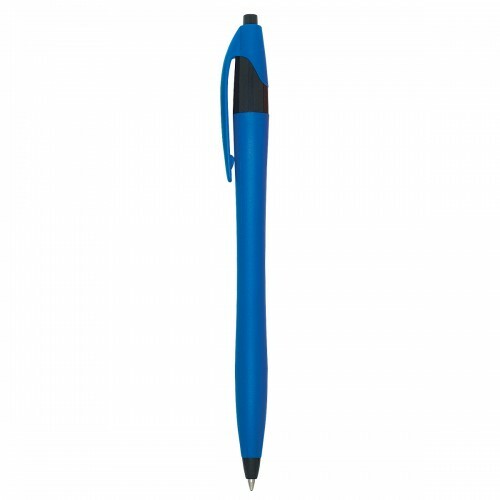 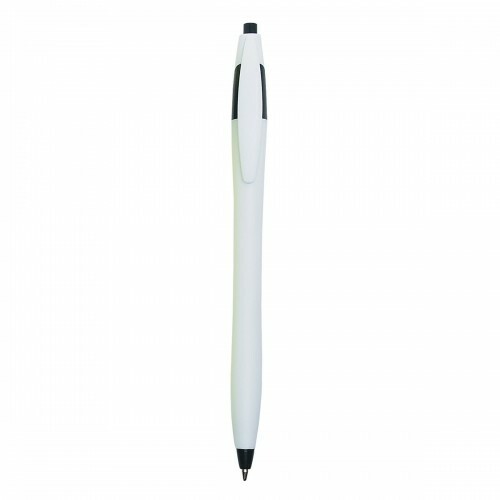 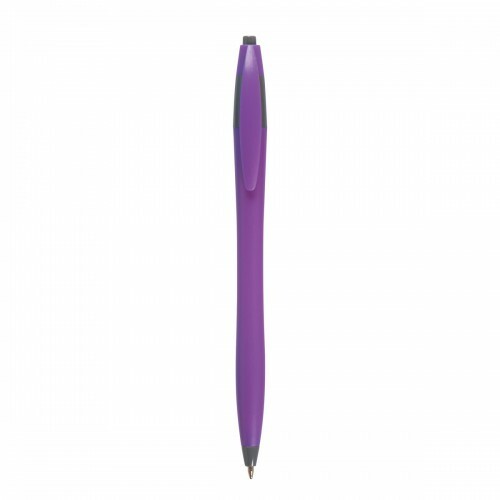 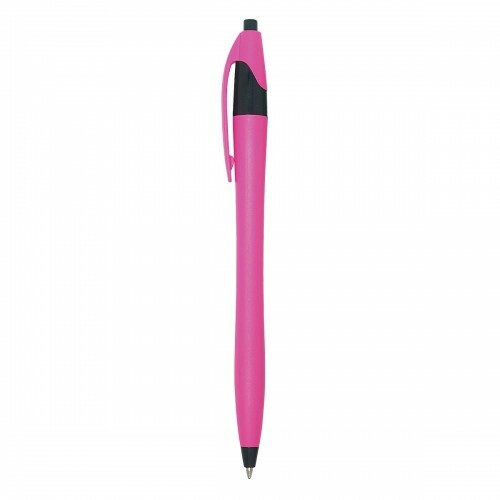 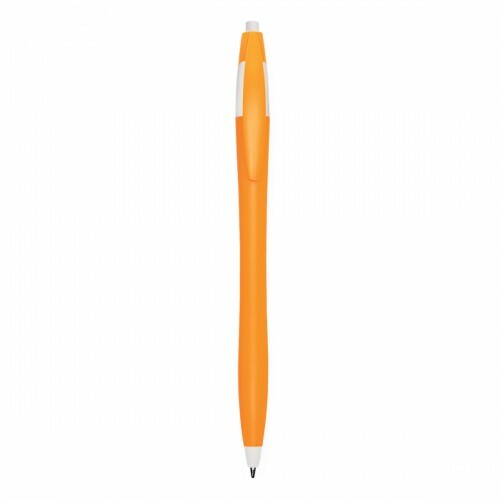 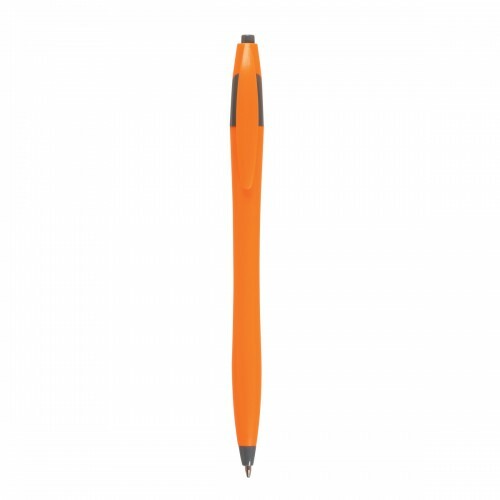 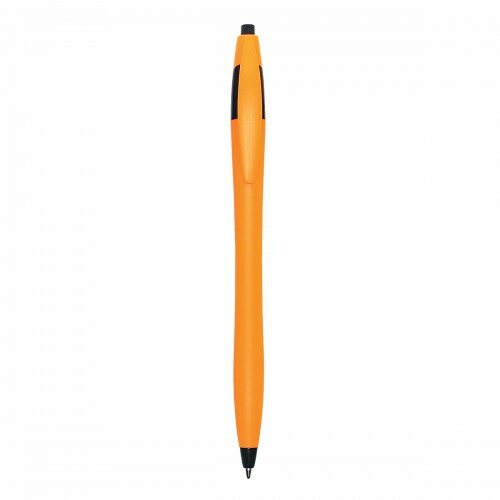 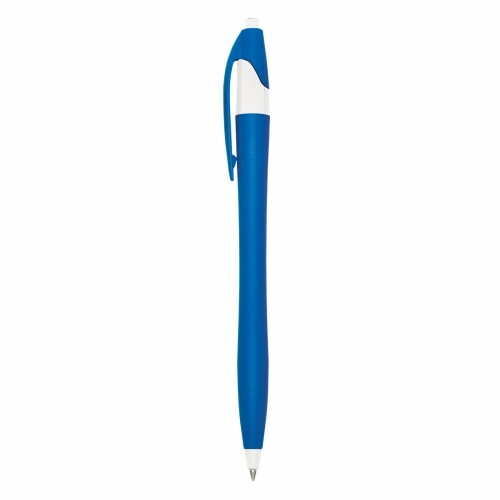 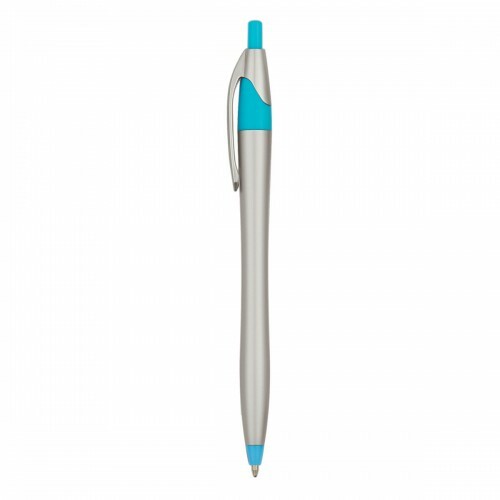 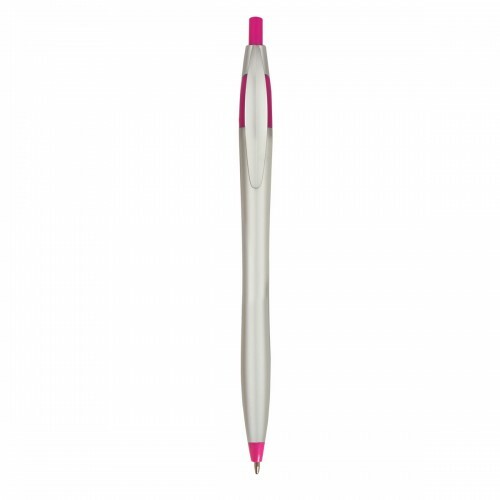 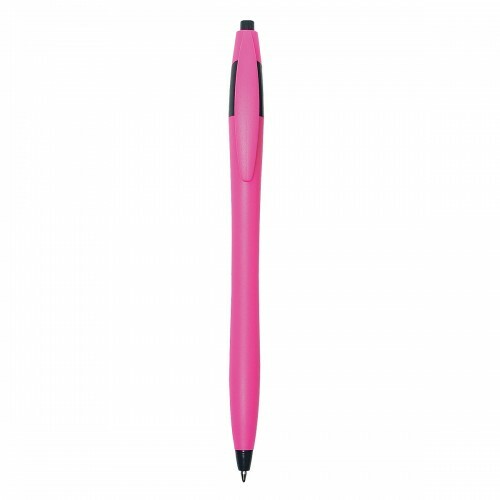 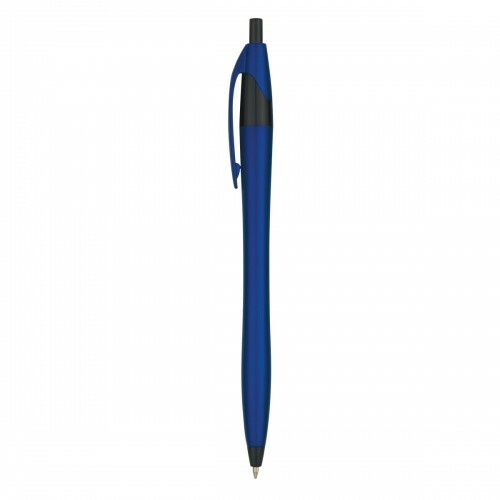 This custom plastic click pen comes with refillable black, medium point ink and is perfect for any promotion.